Christina joined the JLOCC in 2008 and is currently the Director At-Large for the 2018-2019 Board of Directors. This is one of many leadership positions she has held in the League, including 2017 Outreach & Recruitment Manager, 2016 The Christmas Company (TCC) Manager, 2015 TCC Manager-Elect, 2015 Fancy Nancy High Tea Event Manager & 2014 TCC Special Events Manager. Originally joining the JLOCC to meet well-rounded, like-minded women, Christina has found exceptional value in the organization through its volunteer work, training, and member development. Christina Markl is a Quality Manager, focusing in Quality Assurance and Regulatory Submissions for Cianna Medical, Inc., a women’s health company dedicated to the innovative treatment of early-stage breast cancer. Cianna manufactures and markets the SAVI® breast brachytherapy applicator, which allows physicians to precisely target radiation where it is needed most, minimizing exposure to healthy tissue. She holds a Bachelor’s of Science in Biological Sciences from the University of California, Irvine. 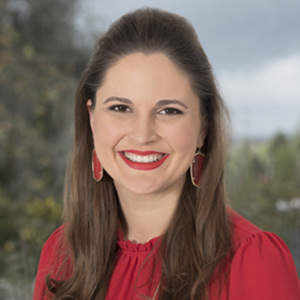 In addition to the Junior League, she is also on the Board of The Elite OC & Young Catholic Professional (YCP), both young professionals organizations, as well as a member of various other local professional organizations. In her spare time, she enjoys keeping active physically & socially, professional networking, and traveling. Christina resides in the beautiful city of Irvine with her Chiweenie dog, Rusty.